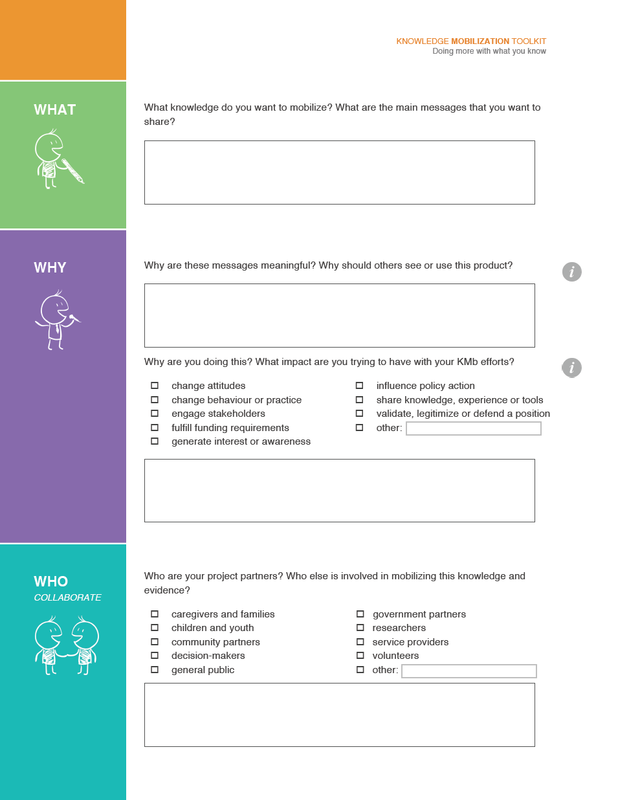 So you’ve got your knowledge mobilization (KMb) plan. How are you going to put it in action? 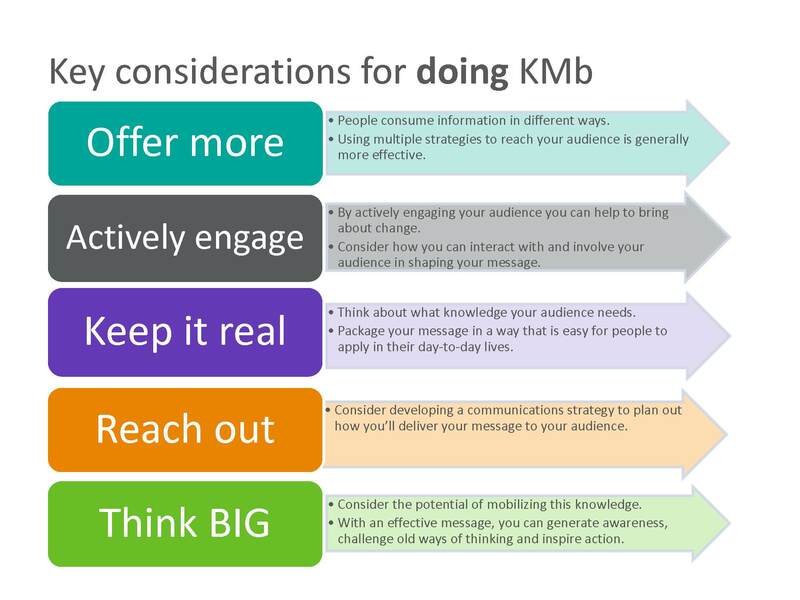 Traditionally, when people thought about sharing knowledge, it was through peer-reviewed journals and conferences, industry or stakeholder meetings and publications.1 There are, in fact, MANY different ways to do KMb. This section will help you generate ideas for your KMb plan. What are their interests and needs? Who are your partners and supporters? What terms, concepts and language do they understand? Finally, it’s important to consider what resources you have access to. What is your budget for your KMb activities? Check out Planning for resources that can help you explore these questions to solidify your plan. Products can be a great way to share information quickly, regularly and accessibly. Particularly in this online age, products can be made available instantly from almost anywhere with a computer and internet access. However, some products promote one-way communication and your audience may miss information or choose not to read it. Examples of products include reports, fact sheets, press releases, toolkits and e-newsletters. 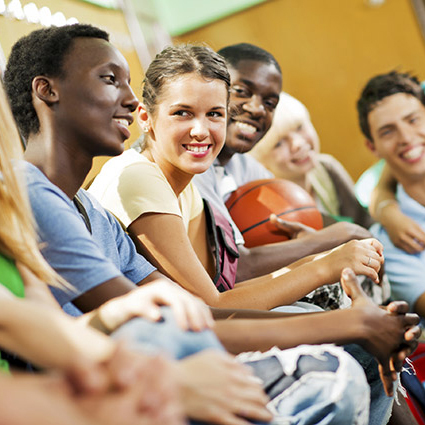 Examples of events include conferences, forums, debates, workshops, annual meetings and media events (e.g. TV or radio segments). Examples of networks include communities of practice, online forums, network push mechanisms (e.g. listservs), social media and chat rooms.